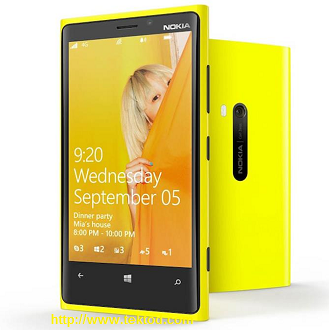 The Nokia Lumia 930 is regarded as the latest smartphone in the Lumia series. The lumia 930 is designed to help nokia claim back the market from samsung and Apple smartphones. Here is a review about one of the most amazing smartphones in the market. With Carl Zeiss lens, 20MP primary camera,PureView technology with Optical Image Stablisation, and a 5,0’’ PureMotion HD+ display. This is Lumia 930. The PureMotion HD+ display is the world’s brightest, fastest and most sensitive touchscreen: enough to make every colour clear and sensitive to respond to your fingertips, even when they are covered up. Nokia Lumia 930 comes with latest windows mobile Os version 8.1, full pack of Microsoft Office and Outlook. You can now create and edit PowerPoint, Excel and Word documents with ease wherever you are with seamless sync. With Nokia Music available on Lumia 930, you can stream unlimited music for free- tap into the latest tracks, create your own channels, put on your headphones and play. Lumia 930 comes with one of the fastest internet connectivity speeds blazing at 100mbps at 4G internet speeds. For those tired with cable charges, this phone does a lot as you don’t need to plug your Nokia Lumia 930 in to charge it. Just put it on a wireless charger and you are done. 3D games support like Fruit Ninja, Angry Birds, Talking Tom..